Calgary-born Walter Dexter received his Diploma in Ceramics from the Alberta College of Art in 1954, and continued his studies at the Swedish School of Art in Stockholm. 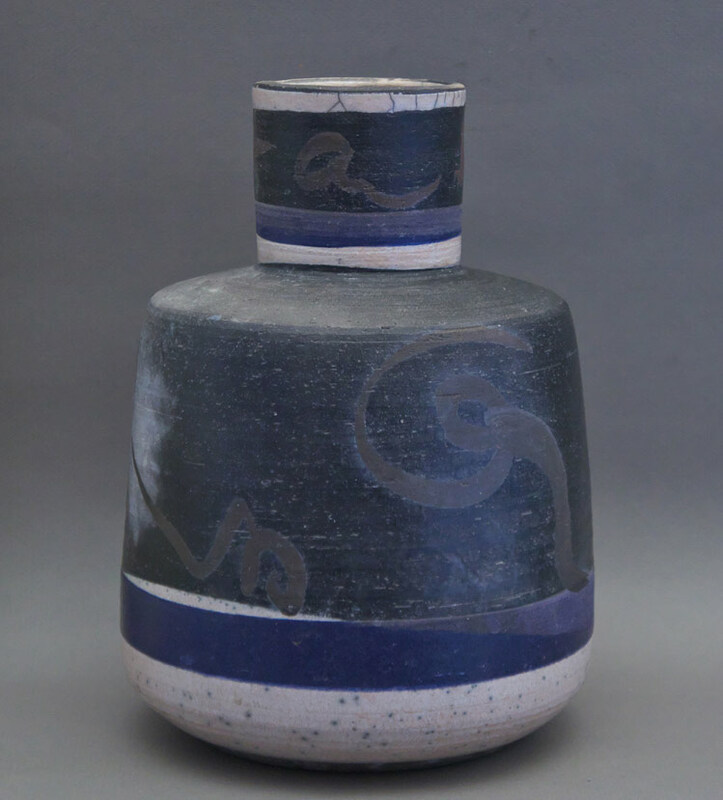 Known primarily for his innovative work with raku techniques and high-quality stoneware, Dexter ran his own studio since 1972 until his death in 2015. He exhibited across Canada and had a major one-man show at the Art Gallery of Greater Victoria in 1994. He has also exhibited internationally in Belgium, Czechoslovakia, England, Finland, Italy, Japan and the United States. Dexter’s works are featured in the permanent collections of the Claridge Collection, Montreal; the Canada Council Art Bank, Ottawa; the Canadian Museum of Civilization, Hull; the Confederation Art Gallery and Museum, Charlottetown; and the University of Calgary. In 1962, he was awarded a silver medal at the International Ceramics Exhibition in Prague, and the following year received the outstanding Stoneware Award at the Canadian Ceramics Biennial. In 1993, Dexter completed a major public commission in British Columbia, when he created a raku Donors Wall for the Saanich Penninsula Municipal Hospital in Victoria. A respected instructor, Walter Dexter taught at the Kootenay School of Art in Nelson, British Columbia; the Vancouver Community College; the Emily Carr College of Art; and the University of Saskatoon. He continued to teach each summer at the University of Victoria. He also co-edited The Art of the Earth, an historical, literary and philosophical compilation of extracts and illustrations on clay-working. Dedicated to the Canadian craft community, Walter Dexter held a variety of executive positions. In 1978, he was the President of the Craftsmen’s Association of British Columbia and a Director of the Canadian Crafts Council. He also served as President and Vice-President of Ceramists Canada.